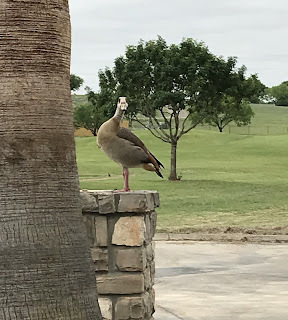 Hill Country Quilter: More Light and Geese! After my first attempt at using my new ironing station, I knew I wanted more light in that area of the sewing room. Another trip to the big box building supply store was in order and I found this lamp. It really improves the situation. The anti-ouch pouches that I’m working on this month are stacked on the ironing surface. They are a great project when I’m in the mood for some mindless machine stitching, which has been the case lately. I've been lagging in getting them finished this year and am trying to catch up. 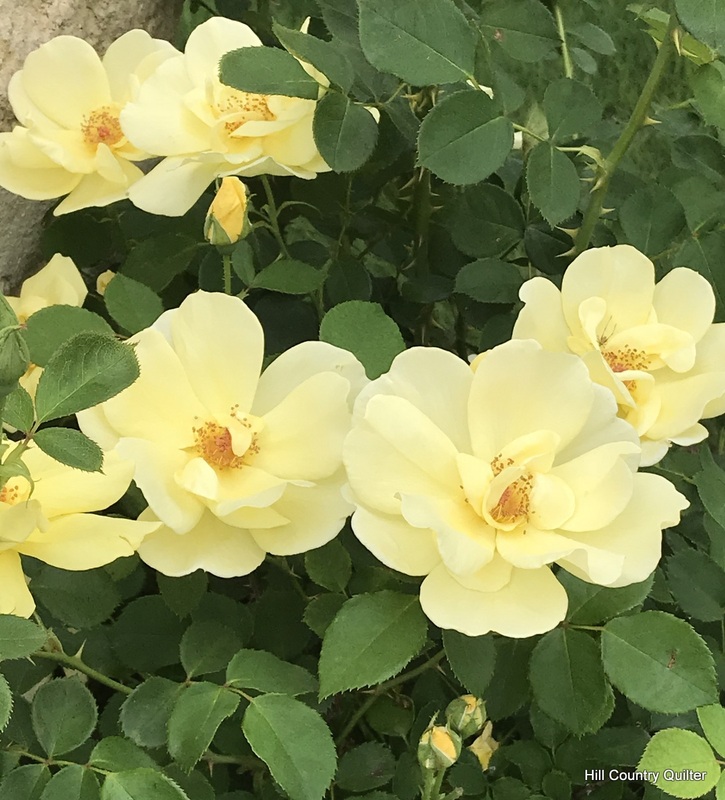 My neighbor’s yellow roses are really putting on a show this spring. We've had full-time resident Canadian geese for years, but this is the first year I’ve seen Egyptian geese. 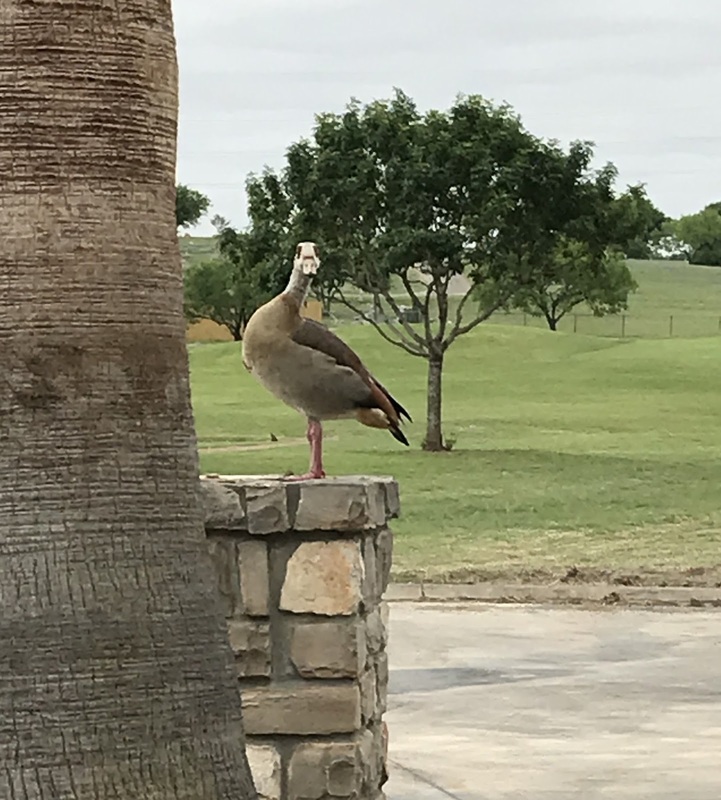 They are considered an exotic water fowl that has become established to our Texas climate. This pair is extremely comfortable around humans and seem to be somewhat curious of us. 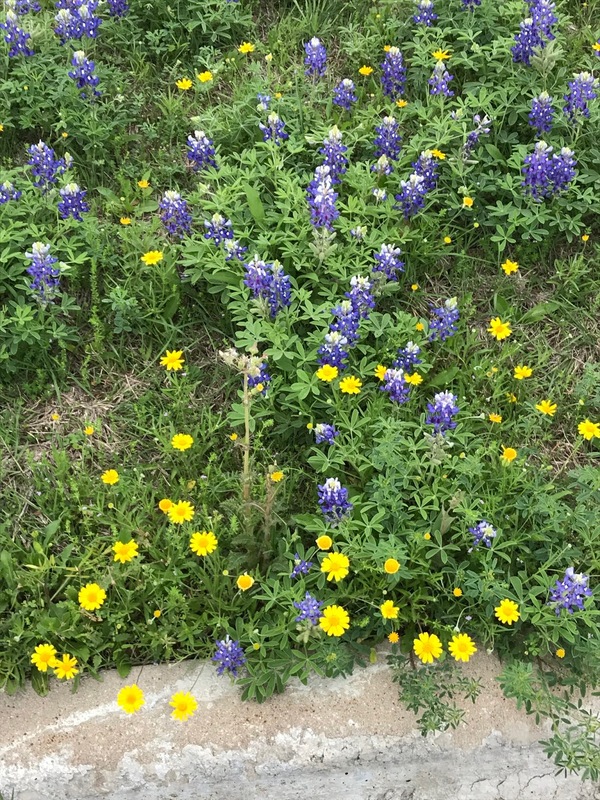 Blue and yellow, a very happy color combo. 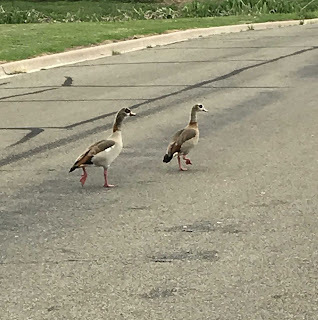 I have never heard of Egyptian Geese. If they like the TX climate I'm sure they wouldn't like IL. 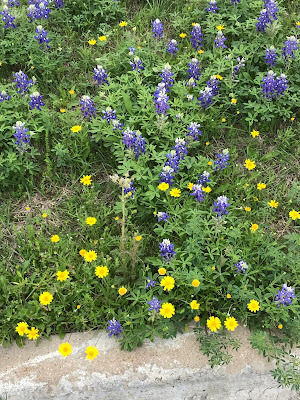 I love your photos of blooms. My early plants aren't even up yet. They usually are starting to bloom by now but we're expecting snow again tonight. The lamp is a great solution! Love the yellow roses. So beautiful. I love yellow flowers like that...and your new ironing station! !